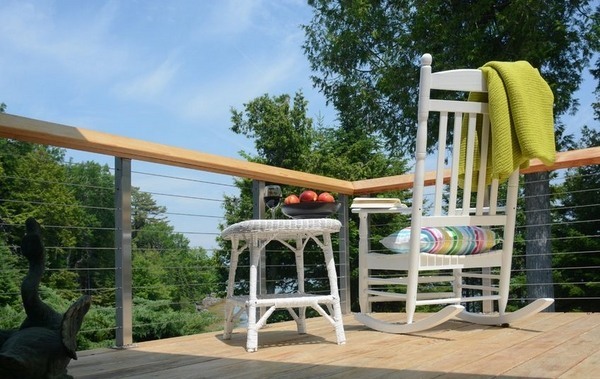 Cable railing ideas can be seen in various indoor and outdoor designs. 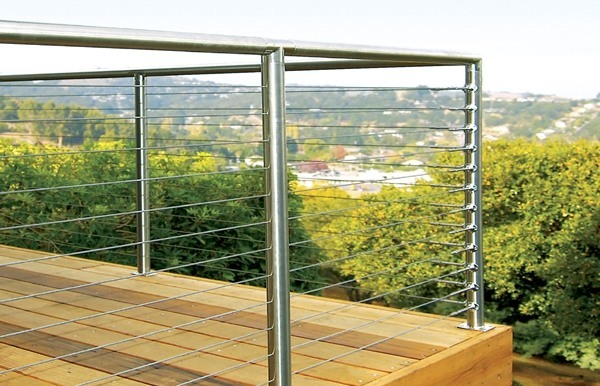 Cable railing can be used for deck, balcony, interior staircase railing and even as a pool safety fencing. 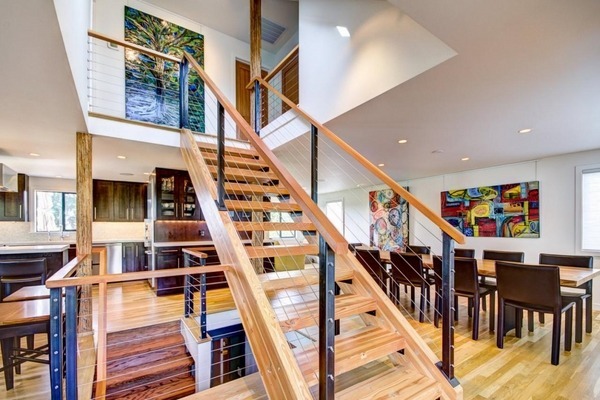 We shall look at the pros and cons of cable railing and will show you some great ideas how to take advantage of the benefits that it offers. 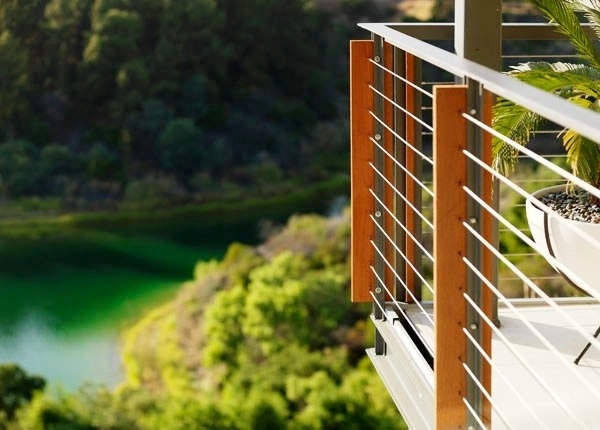 What is cable railing and what it is made of? 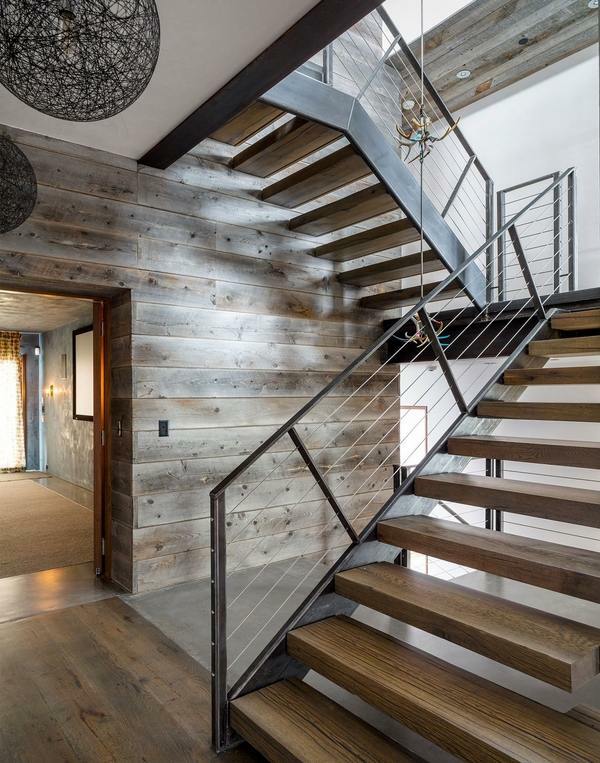 By definition, a cable railing is providing a barrier between two spaces or installed for safety purposes, usually on interior and exterior staircases. 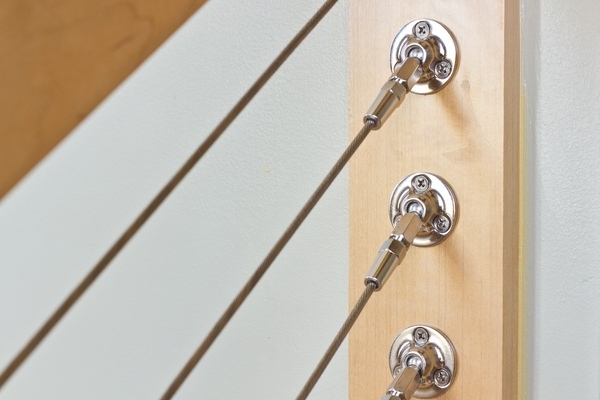 The cables are made of stainless steel or aluminum and can have a protective coating – a metal or plastic cover – which also allows easier handling during installation. 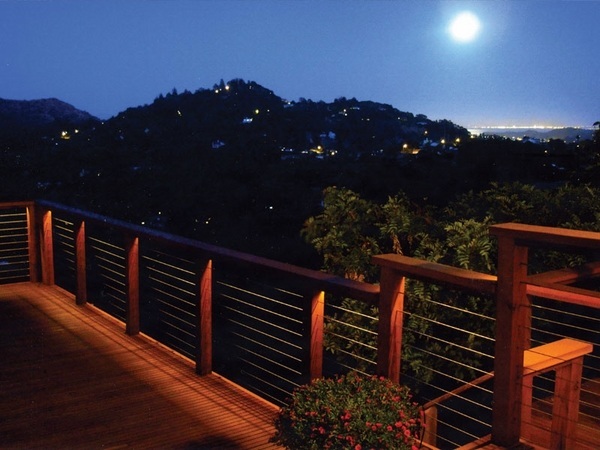 Cable railing ideas feature different types of posts – wood, stainless steel or aluminum – and each material offers his advantages to the durability, strength and performance of the railing system. 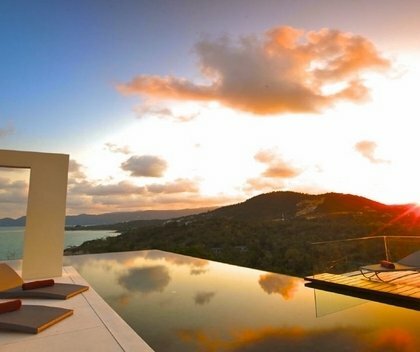 The choice of posts depends on the taste of the homeowner, the architectural style of the exterior or the overall design concept of the interior. Wooden posts have a beautiful appearance and are a popular choice, especially when people would like to add the natural beauty of wood to the dеcor. 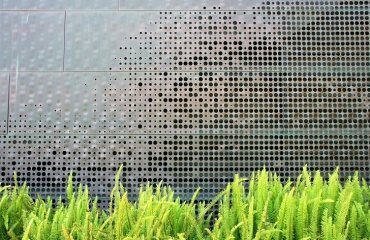 Stainless steel or aluminum posts are a perfect choice and their sleek look adds to the modern interior and exterior designs. 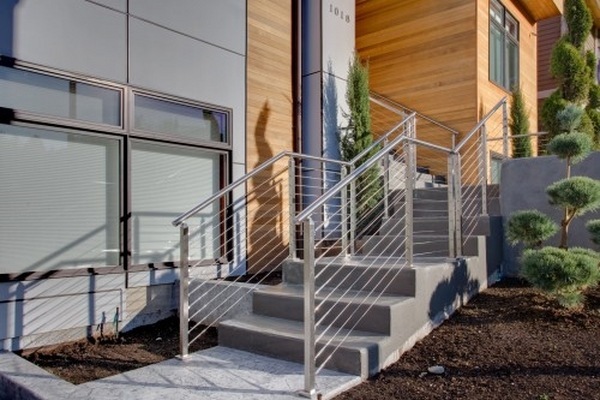 Cable railing ideas offer a modern aesthetic and at the same time combine functionality and practicality as they perform their main function – to assist ascending or descending stairs or outline a balcony or a deck area. When you live in a home on several floors, walking up and down the stairs is probably an integral part of your everyday life. 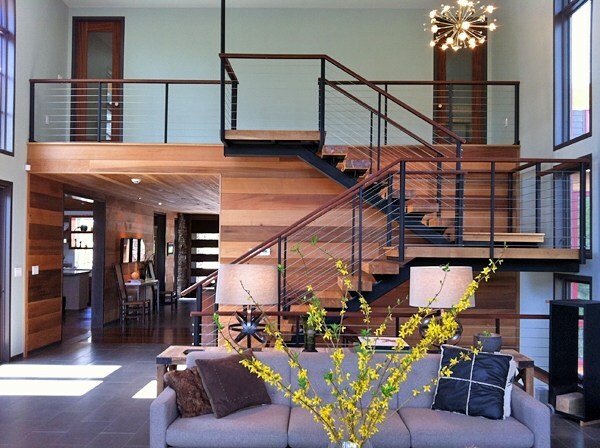 The design of stairs and the railings is an important factor in the overall appearance of the home. 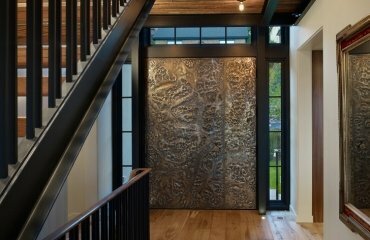 Even if you live in a one floor home and you do not need a staircase the exterior design around the home often needs barrier. 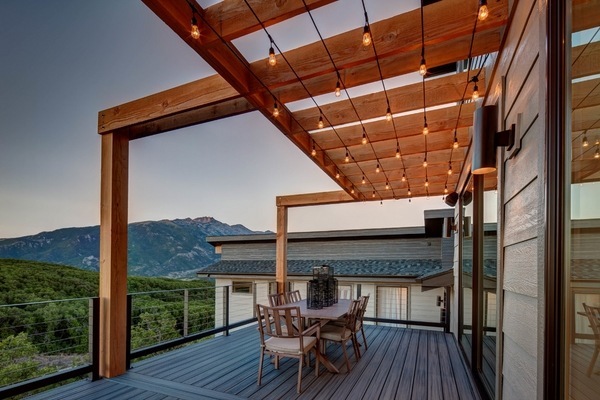 Cable railing systems offers many benefits both indoors and outdoors. Let’s look at the most important ones. 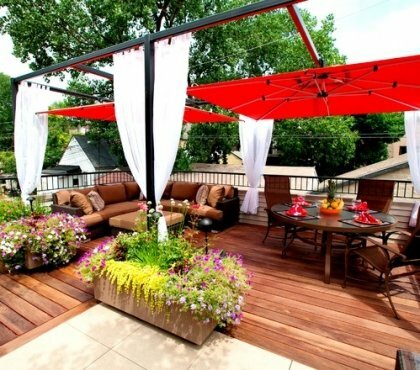 Visibility – this is a valuable advantage when your deck or outdoor has a spectacular view – whether a magnificent landscape or a cityscape. 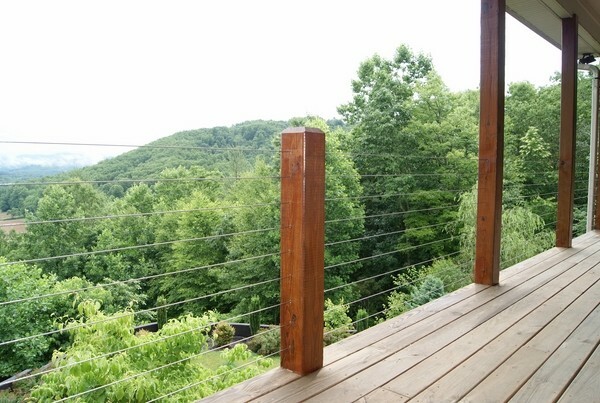 Cable railings are virtually invisible and will not block your view so you have the opportunity to enjoy the surrounding mountain, ocean, forest, field or city view. 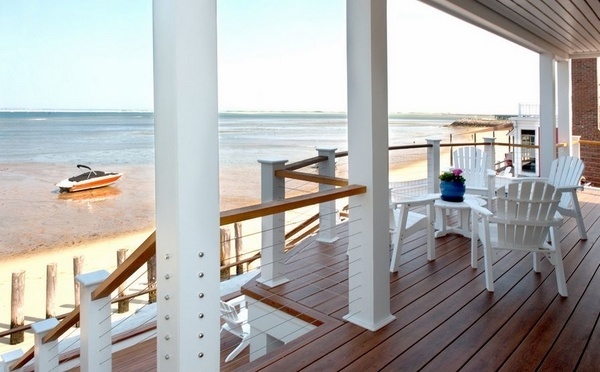 Visual spaciousness – cable railings are unobtrusive and actually make any space look larger and bigger. 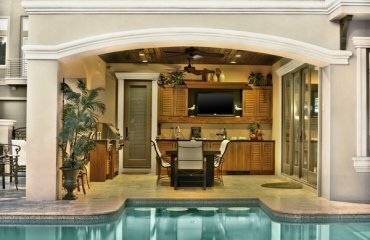 When used indoors, this is especially important, as the space looks lighter and brighter as well. 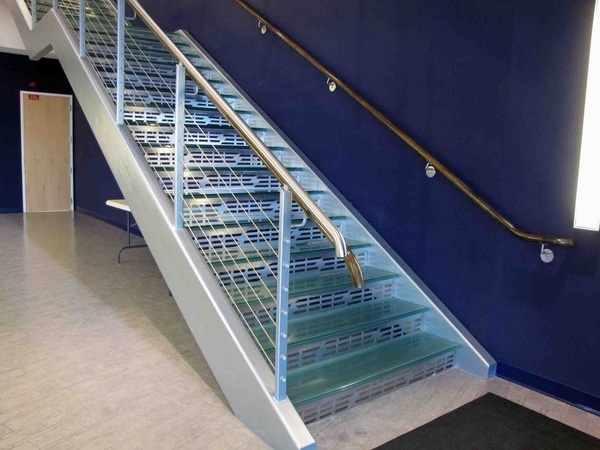 Installation and maintenance – cable railing is easily installed and the cables can run either horizontally or vertically. 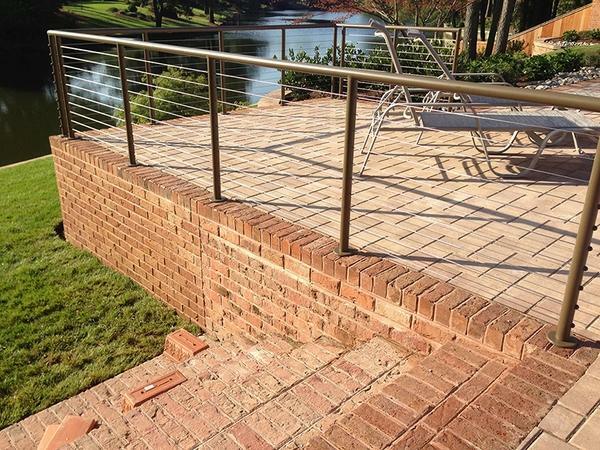 There are two main types of cable railings – surface-mounted and through-post cables and the particular choice will depend on the homeowner. Usually the price is determined by the price of fittings and the length but the market offers a wide variety of options so you will be able to fit your choice into your budget. 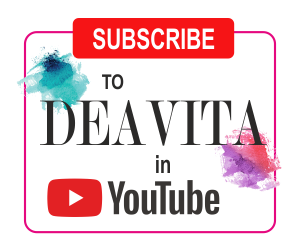 In addition the rails can be attached to posts made of different materials – vinyl, stainless steel or wood posts and due to the fact that the cables are usually made of stainless steel they have a long service life, they are practically maintenance free and easily replaced, if necessary. 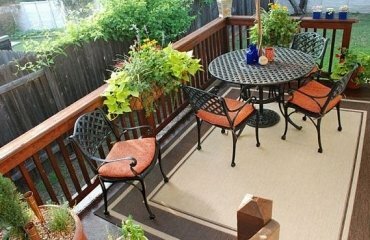 What you have to do is check for the cable tension of your railings and adjust it which can be done easily even by inexperienced homeowners. Cable railings do not need cleaning or washing, painting or oiling which means that over the years the costs for maintenance will be almost zero. 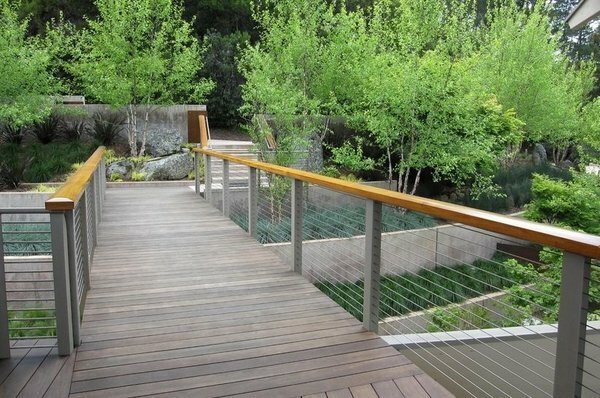 It is true that cable railing ideas look amazingly beautiful, modern and elegant but it does not change the fact that they have some drawbacks which should be taken into consideration when choosing the deck or the staircase railing for your home. 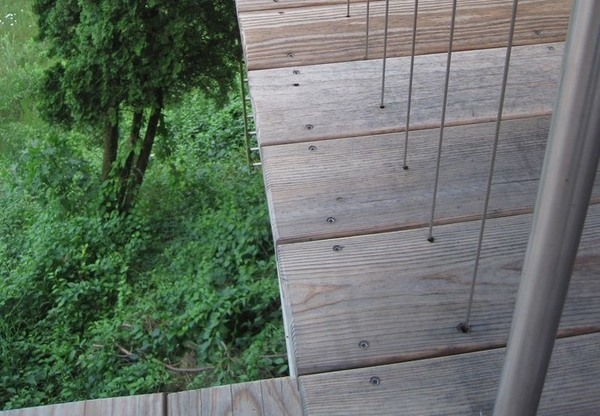 One of the prime factors to consider when choosing a cable rail system is the safety. There is a danger that small children would climb over them or slip through cables, especially when the rails are positioned horizontally. 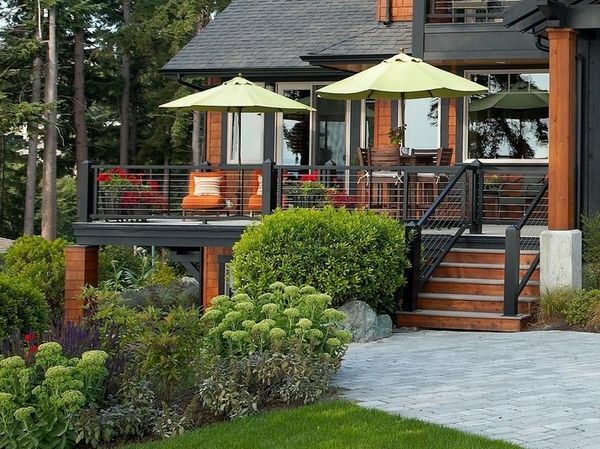 Consider the architectural style of your home or the exterior design concept and see if cable railing systems will work with the overall appearance and visual aesthetics. 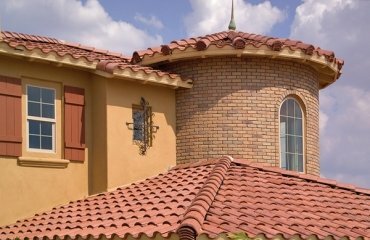 Modern systems will look out of place in classic and traditional designs so in such cases you should choose alternative options. 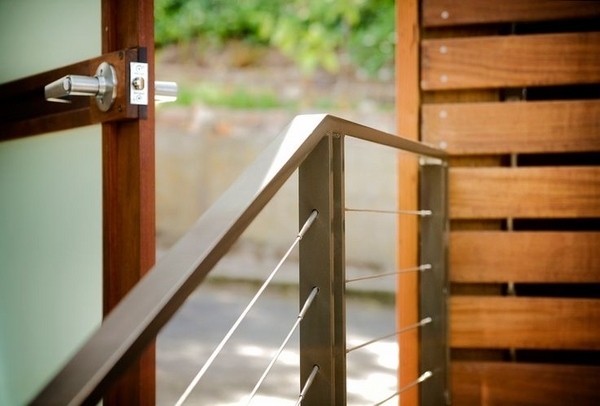 Generally cable railing can be used in many but not all architectural and design styles. 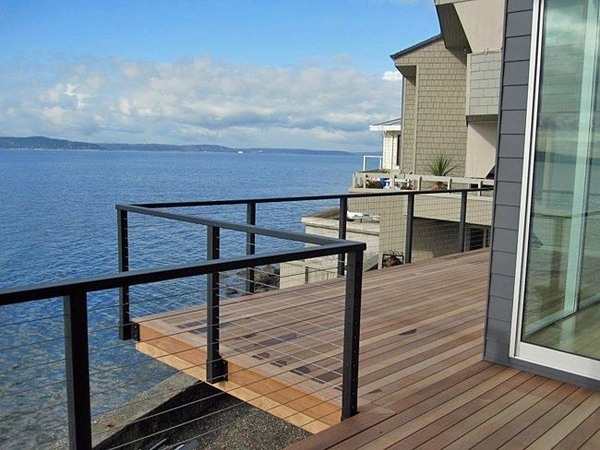 Price is a serious factor and depending on the materials used for the frame (aluminum, steel, stainless steel) cable railings are less expensive than glass railings but more expensive than wood ones. 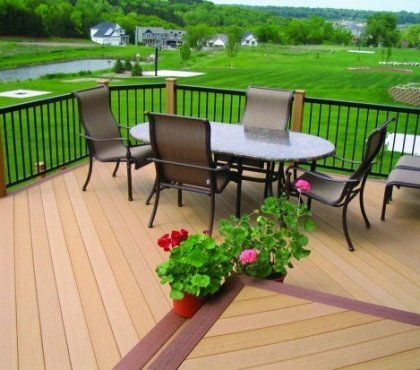 For homeowners who plan to spend a lot of time on their decks there are distinct advantages to a cable rail system. 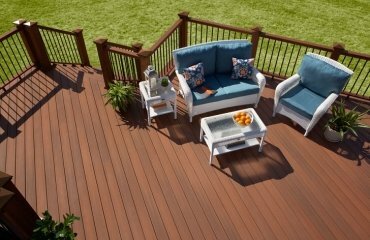 There are also some disadvantages to using cable railing, but only you can tell which alternative will work for your deck and situation.